New Case Study on SOEs in CEE Released! The presented case study provides a review of the rationales behind state ownership and the decisions to establish SOEs and delineates specific implications of these policies. Its main focus are SOEs in Bulgaria, Estonia, Lithuania, Poland, and Slovakia. On Monday, April 13, 2015, Vit Jedlička, a Czech politician and a liberal economist, put up the flag and established a new sovereign state called Liberland on the territory of former Yugoslavia. 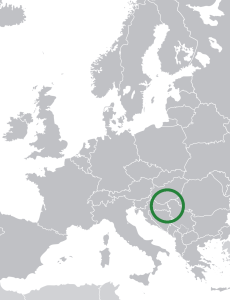 On the 7 square kilometers of Terra Nullius claimed by none of its neighbouring countries (Serbia, Croatia) the liberal values shall take reign.